One of my pet projects in 2013 was to do a fun photoshoot with burning steel wool. 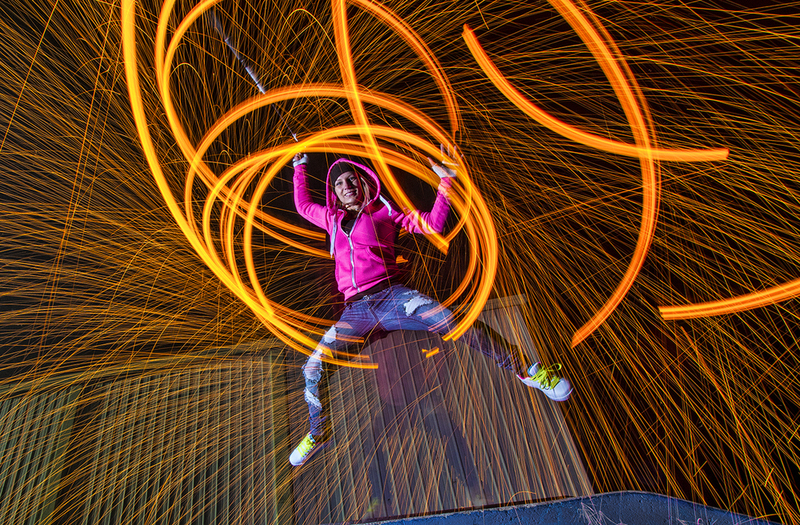 Sean Sherstone and I hired a model, Tania Powley, and spent an evening photgraphing her spinning burning steel wool at a skateboard park, under a bridge, and at an old closed down movie theater. Uber fun! Here is the first burning steel wool shot I ever took. Our fire-spinner was the amazing and talented Willow Chandler.